Wow! 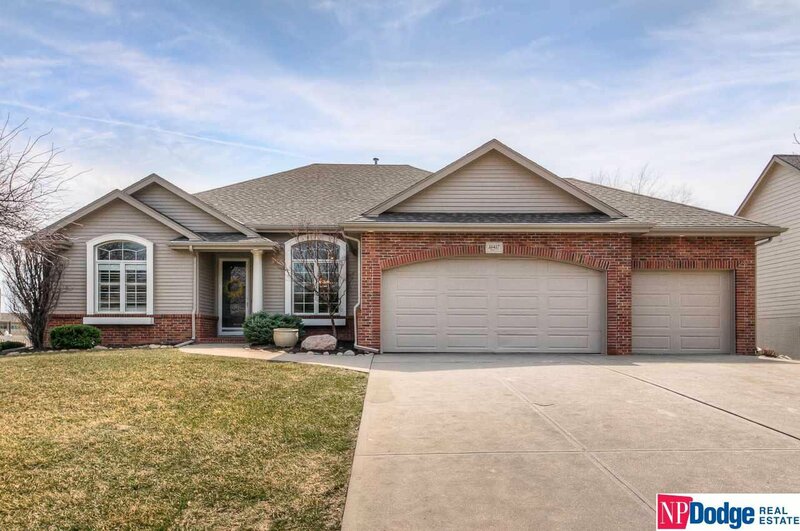 Stunning details & architectural design in this gorgeous walkout ranch overlooking Stone Creek Golf Course. Elegant style & high-end finishes throughout this former model home. Brazilian cherry wood flrs, maple cabinets, granite, & WI pantry. Beautiful mstr suite w/ soaking tub, walk-in shower & WI closet. Large finished LL w/ wet bar, 2Bds, full BA & plenty of storage. Screened-in deck, lush landscaping & vinyl fence. Plantation shutters, zoned HVAC, new carpet/paint/AC & more! A Must See! Listing courtesy of NP Dodge RE Sales Inc 204Dodge. Selling Office: Np Dodge Re Sales Inc 108dodge.